The Pilot closely references 1920’s film techniques and the dramatic rescue scenes synonymous with Swiss Alpine Sports Films directed by auteur Arnold Fanck. 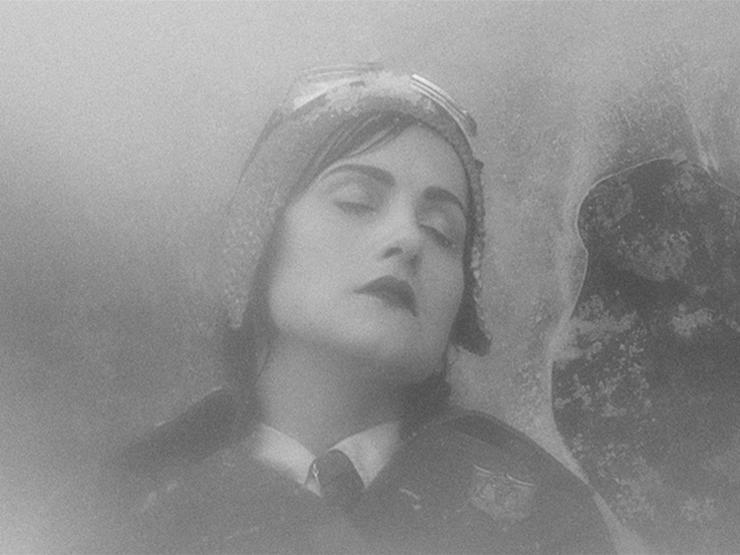 BB’s characteristic female heroine is a 1920’s pilot lying unconscious in the snow. With a broken leg she silently waits for her rescuer or death. Before her dramatic rescue the camera slowly scrutinizes her body for clues of her identity. 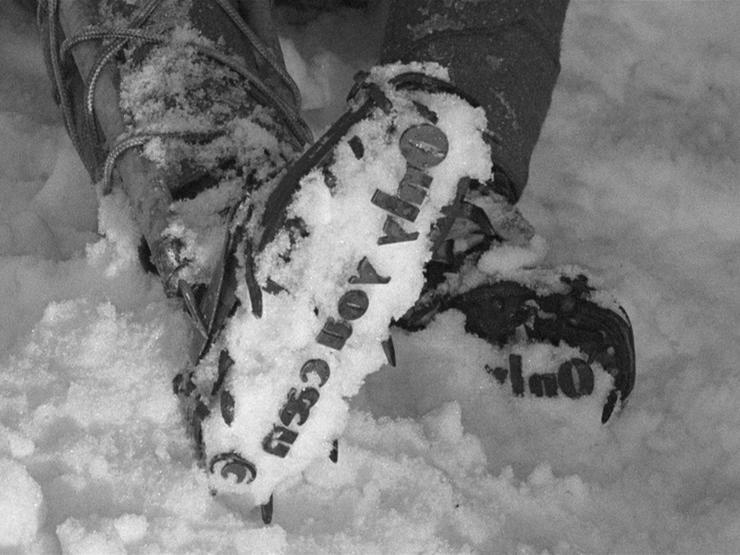 The scant details of her life are discovered with precise anthropological detail: her swiss alpine family emblem, the tasseln around her waist, and the sporting “Only you can©” inscribed crampons. Vignetting her face with a soft focus reveals a timeless beauty, and yet she remains elusive. 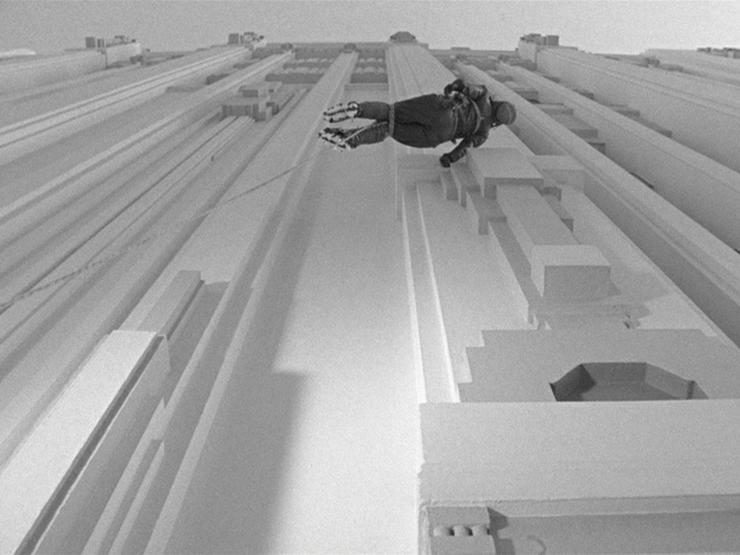 The rescue scene subverts the modernist gaze. 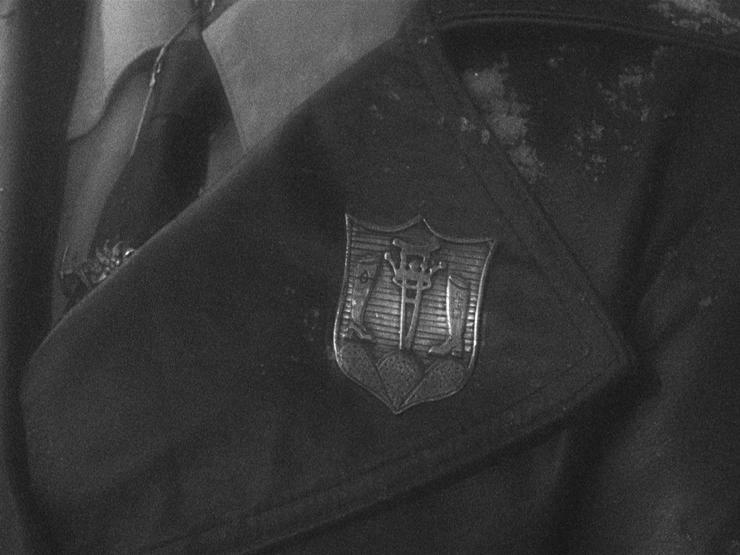 It is documented as a treacherous, laborious and concrete action. The pilot’s body is pulled up the side of a thirteen- story art deco building in Cape Town – a former cinema. Soon she disappears over the top, and is gone, leaving behind an invisible trace of the imagined past she briefly occupied.